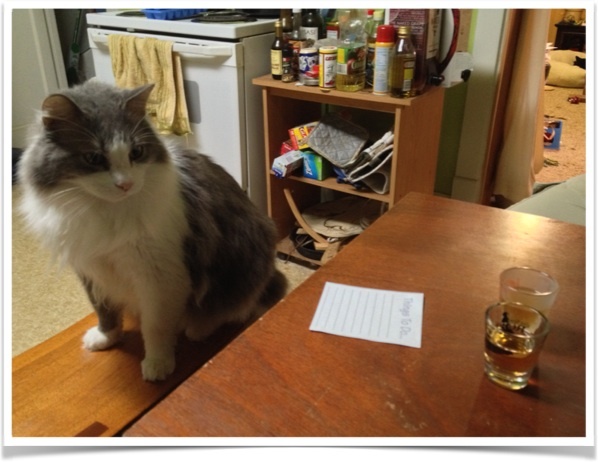 In this mini-taste-test: which apple-liquor makes the best Jack Rose! Why? We wanted something nicely themed for the Dr. Who 50th anniversary special, and the “Jack Rose” seemed like an aptly named drink given the modern series. Both Apple Brandy and Apple Jack recently became available in our area. The drink can be made with both, although Apple Jack is what is called for in our recipe. Additionally lemon vs. lime will also be tested, as again both are acceptable in the making of this beverage. Ingredients for Jack Rose tasting (that’s homemade grenadine in the back). Results: Taste testers A, F, & P were available this time. While more testers would be better, that would involve making more friends… and friends you don’t have to clean for take a while to accumulate. Everyone leaves the room except for A. Each combination of Apple liquor + citrus was measured into the glasses by A. A. leaves the room to fetch F.
After all note taking has ceased, the fluid-to-new charm mapping can be made using the records by A. & F.
NOTE: this procedure works best when the resulting beverages are the same color & opacity. Black glasses like these would be better for tasting drinks that look significantly different. ∞ Apple Brandy & Lime ahh! Citrus! Apple Brandy & Lemon ahh! Citrus! ∞ Apple Jack & Lime ahh! Citrus! 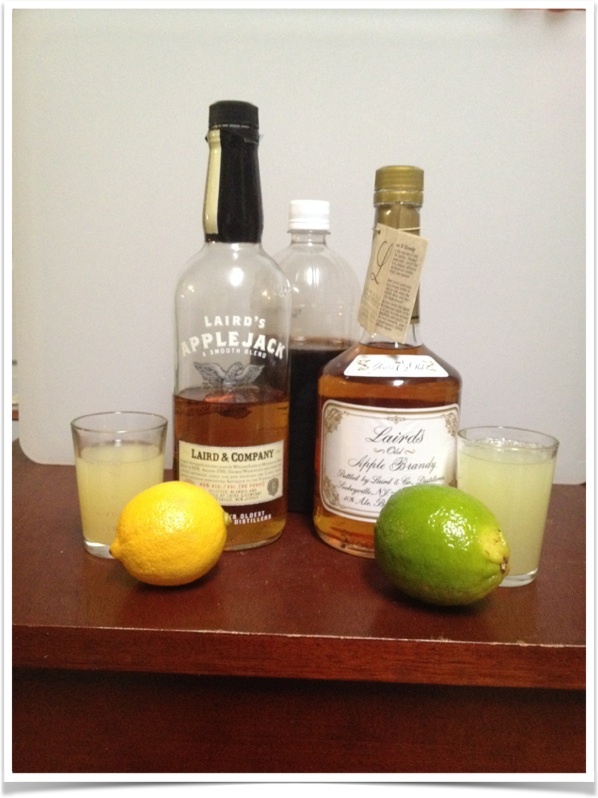 ∞ Apple Jack & Lemon ahh! Citrus! Comments: The recipe used (Vintage Spirits and Forgotten Cocktails ) was horribly unbalanced (1.5 oz apple liquor, 1 oz lemon juice, 2 dashes real grenadine). All of the drinks were *very* unbalanced in the super-sour-citrus direction. Taste tester A. was able to correctly identify all the liquors in each of the 4 beverages, and additionally correctly identified the citrus when mixed with the brandy. Taste tester F., in addition to having numb fingers after 4 rounds of shaking beverages, quickly had numb taste buds as well, and taste tester P (a.k.a. brownie-master P) correctly identified Jack in one drink and lemon in a different drink. A rescue mission then commenced, where beverages of like-liquor were combined and re-mixed. Conveniently, combined beverages each equaled 3 oz, to which 1.5 oz of additional liquor and 0.5 oz of “non-real” grenadine (e.g. ruby-red sugar water that has never been touched by a pomegranate) were added, to bring the recipe closer to the ratios in The Fine Art of Mixing Drinks .
. . . we will find a different beverage to celebrate Dr. Who… the recipes on hand are not cool enough (perhaps the Drunken Moogle can help).